Our wardrobes have items that we love also the items that we hate. However essentials are those items that we need. Here i have listed my essentials, these are the items that I need and are the base of my wardrobe. 1. The Quick, Simple Outfit. The quick, simple outfit needs to be something basic, something you feel comfortable in and something you can dress up or dress down. 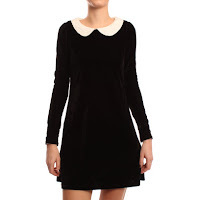 For me it is a simple Peterpan LBD I pair it with tights some killer ankle boots and I always accessorise, a bonus would be if it something that doesn’t need full on ironing.. In the kingdom of Miss Speckle everyone should have comfortable shoes. Whether it is plimsolls or pumps, we all need footwear that is comfortable therefore it is an essential! Ok for me I have two pairs that I would actually sleep in, if I had to (Confused face) yes these are my beloved Ugg Boots and Converse Trainers, both extremely casual as they can be paired perfectly with any daytime outfit. 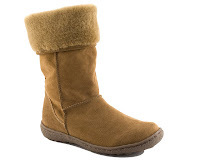 So if you want the casual Ugg-type boots but not for the price there are many alternatives out there that do the same job and look the exact same! 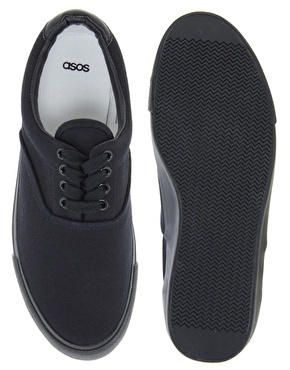 Everyone needs a pair of these, these are probably the most essential item on my list, Skinny Jeans are the ultimate product and I find that if anything, one needs a pair of black skinnys and a pair of blue. I absolutely love the denim on denim look with skinny, a nice blue denim shirt paired with blue skinnys is flawless, stunning but looks effortless at the same time in addition pair your black skinnys with a printed shirt for that ‘not too casual’ look. 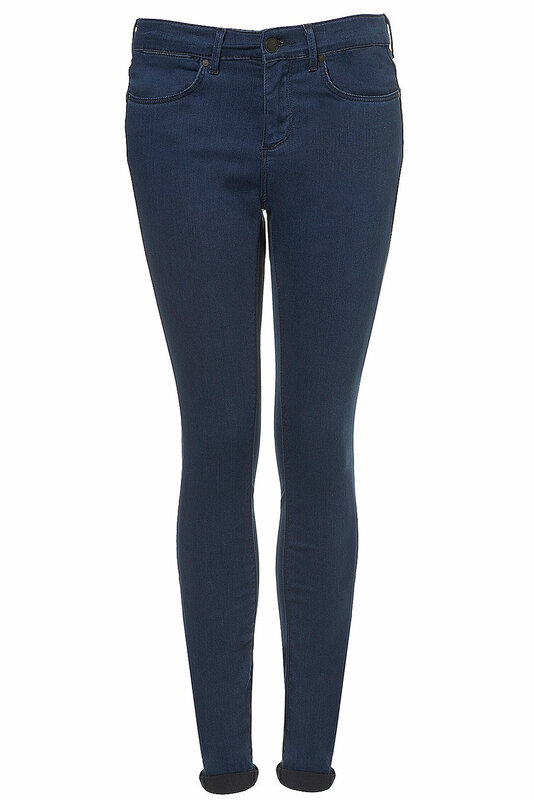 For those who find denim a bit uncomfortable (ME), the lovely designers and high street brands have provided us with jeggings, a more legging type jean (which is what I wear most days) and treggings, which are a softer type denim. These Jeans are the perfect skinny back jeans, perfect for those almost formal parties, however something cheaper would be Primark's black Skinny Jeans which go for £12.00 and feel amazing! 4. 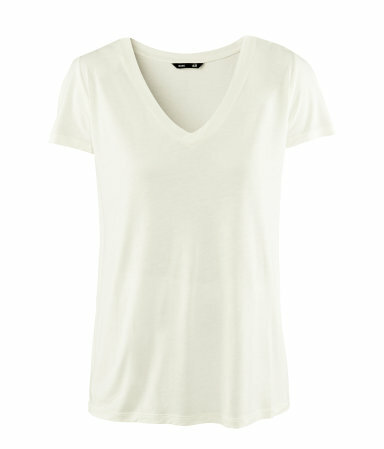 A Plain White Tee. 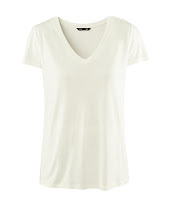 You can never, ever, ever have enough plain white t-shirts, it’s a fact! I love having different styles of white t-shirts; V-necks, extremely oversized, men’s... but for essential purposes I would go for a t-shirt which is placed just at the hips. Now, all stores have a basic section where you will be able to get yourself one of these however I always go for the H&M basic collection, for me it is perfect, the colours don't fade and material is just perfect (sounds weird, but honestly they feel amazing) the downside however is that the online store is well, pretty basic and it is best to try items like these on because the sizes can be a pain. A simple black cardigan will go with almost everything. At first I was a little reluctant to add this particular item to the list because I don't have much to say about other than it is essential. Everyone needs one therefore everyone stocks them! The main element of the staple product is that it needs to be fitted, have a cardigan that if you wore with an evening dress it will still look classy and formal, let the studs and spikes be with your other fancy cardigans but for this type, make it a simple statement. 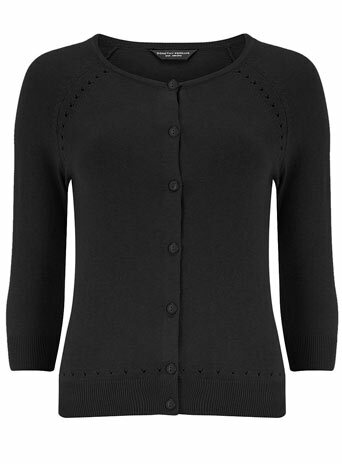 Make sure the cardigan, is simple, no frills or bows or lace just a clean simple black cardigan. There you have it, my five essentials that i can't live without! thank you for reading, feel free to comment and share your essentials!